Microsoft has officially announced Xbox Game Pass Ultimate. Update: During this week’s episode of Inside Xbox, Microsoft officially revealed Xbox Game Pass Ultimate. 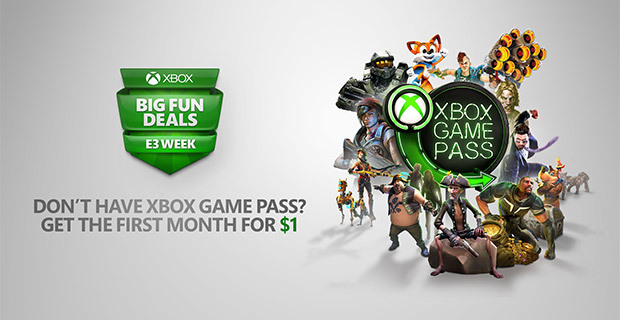 As the leaks suggested (more on that below), the service is essentially a bundle of Xbox Live Gold, and Game Pass for one price. That price being $15 a-month, which is $5 cheaper than paying for each service individually each month. Xbox Game Pass Ultimate is currently available to select Insiders, but the service will roll out to the public later this year. Game Pass Ultimate will be an option in all countries where base Game Pass is currently available. You can read the original story below. Original story: The service, dubbed Xbox Game Pass Ultimate, is said to cost $15 per month. The news was first reported by Twitter user h0x0d, before The Verge confirmed it with its own sources. $15 is $5 less than what users would pay for the two services combined, and it makes a lot of sense. H0x0d says Xbox Insiders will be able to try it out at just $1 until it’s available to everyone else. The Xbox One S All-Digital edition, the disc-less console, is said to be unveiled later this month alongside the service. A disc-less console would need to rely on exclusively on digital games, and Game Pass would be an excellent starting point. Microsoft may even decide to bundle the upcoming console with one or three months of Game Pass Ultimate to make it a more interesting proposition. Nevertheless, it’s clear Microsoft’s transformation into a services company is starting to take shape on Xbox.